Did you know that Deadpool is having a wedding? He is, and everyone is invited – and I mean everyone. 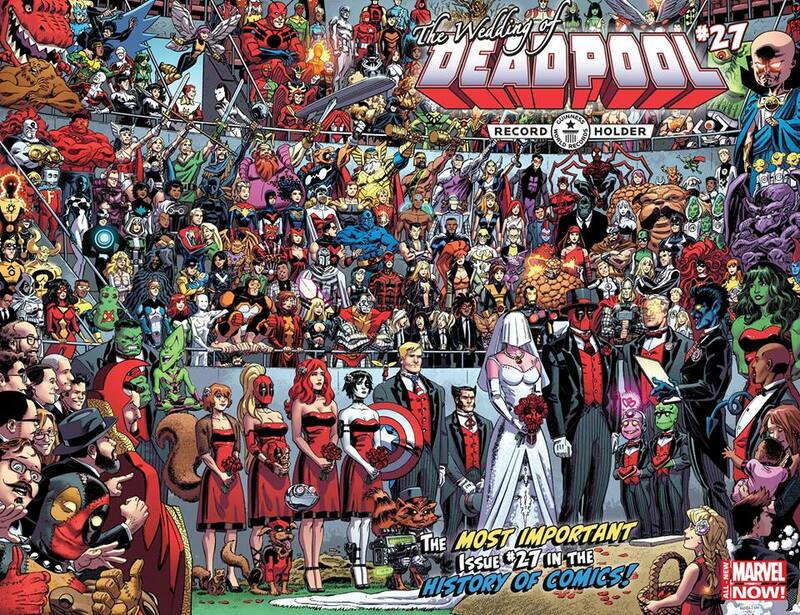 They are all showing up to Deadpool’s wedding on the cover of issue #27, which comes out tomorrow. They are all here. Forbush Man, Squirrel Girl. The Thing, Spidey, Nightcrawler. Is anyone even missing? In all, there are 232 Marvel characters on the cover. This cover beats the Guinness World Record of 224. Artist Scott Koblish now has a world record for the largest number of comic book characters on a single issue cover. This must have driven him insane, keeping track of all of these characters, but Koblish and his team did it. That is one awesome wedding.